The combo of cream cheese and vanilla give these cookies the best flavor – and the texture is almost melt-in-your-mouth. 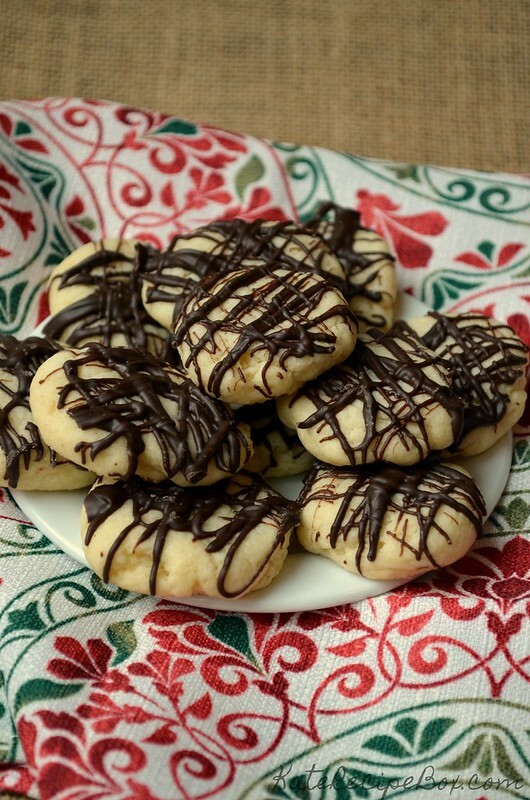 Topped off with a drizzle of dark chocolate, these unassuming cookies will vie for your favorite without a doubt. I flavored these with Adams Best Vanilla Flavor, which was provided by sponsor Adams Extract. It added an amazing vanilla flavor. I’m planning to make a repeat batch of these later in the season replacing the vanilla with the peppermint extract they also sent. I think it’s going to be amazing topped off with dark chocolate again and sprinkled with crushed candy cane pieces! In a stand mixer or using a hand mixer, cream butter, cream cheese, and sugar together until well blended. Beat in egg yolk and vanilla extract. Gradually blend in flour until completely incorporated. Scoop by heaping teaspoon-fulls onto a parchment-lined cookie sheet. Press down slightly. Bake for 10-12 minutes. Remove and let cool completely. Melt the chocolate in the microwave on half power. 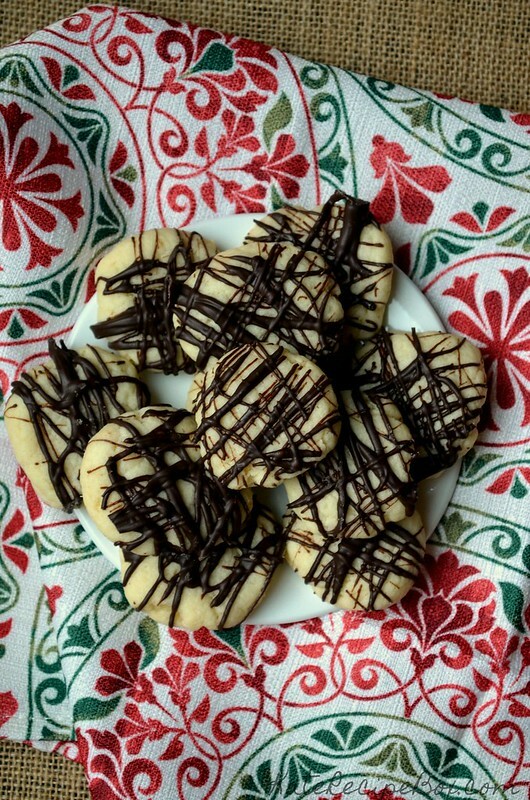 Drizzle over the cookies with a fork and let cool completely again. That drizzle puts these over the top! 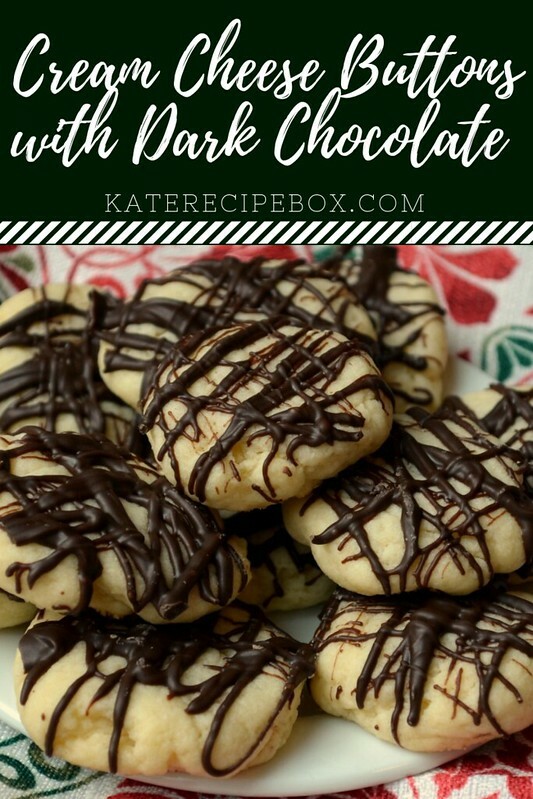 Loving that dark chocolate glaze drizzled over these cute little cookies.